We read the news, shop, and connect with friends online. We send and receive dozens (if not hundreds) of emails a day, and then respond to Facebook messages, Tweet, poke, chat, and create Instagram stories about our lives. Some of us even communicate with our doctors and accountants through online portals. You can’t deny that our lives online are irreversibly connected to our lives “offline”- which is why it doesn’t come as a surprise that we’re even connecting and donating to our favorite nonprofits and charities online. In 2015, around 7% of all charitable donations were made online, and this figure is expected to grow in the coming years. As our online and offline worlds continue to merge, it is now more important than ever for nonprofits to better understand how to effectively drive online donations. 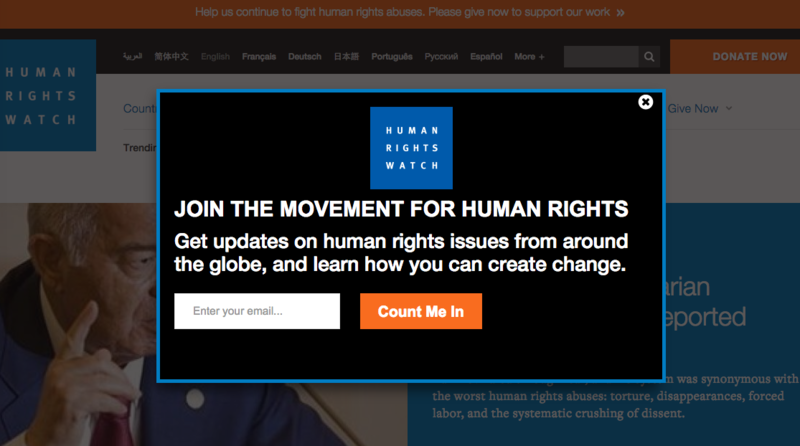 Whether your nonprofit has overlooked online giving, is just getting started, or has been focusing on donations online for some time, Rob Wu, CEO and Co-founder of CauseVox shares 12 proven ways that your nonprofit can bring in more online donations. Email marketing for nonprofits helps send impactful email campaigns that deepen donor relationships and achieve fundraising goals. Nonprofits can use email marketing to recruit volunteers, re-engage lapsed donors, drive attendance to your next event, and of course, fundraise. Aside from content, frequency also matters. While you may think that less is more, nonprofits receive less unsubscribes when they send 4 or more emails per month. You can figure out the ideal email frequency for your audience by testing your frequency to portions of your list. See if your engagement increases and the impact it has on your unsubscribes before you increase your frequency and always let your subscribers know the added value they’ll get from receiving more email from you. While social media platforms have begun to incorporate donation-specific features (think Facebook Donate button), nonprofits shouldn’t overlook the biggest power of social media – exposure. Facebook, Twitter, Pinterest, and Instagram are all great ways to spread the word about your cause to current supporters. As people learn about your organization, you’ll be giving them the tools (and fuel) to share your cause with their own friends and family. 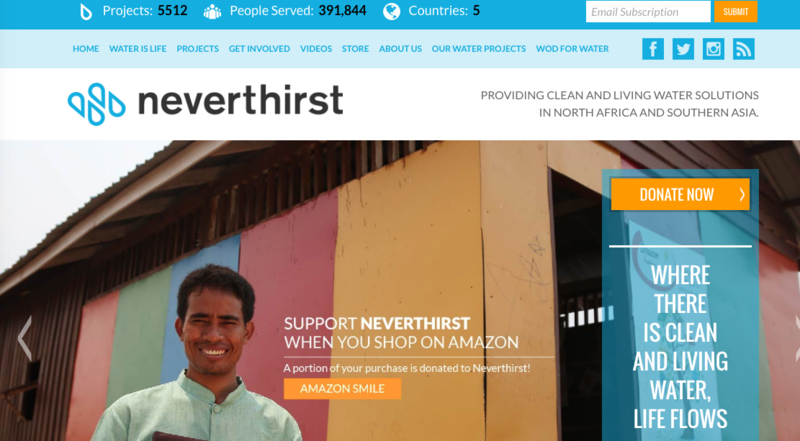 For example, Neverthirst uses social sharing buttons on all of their website pages. Ask your most loyal supporters to raise money on behalf of your organization by becoming personal fundraisers for a peer-to-peer fundraising campaign. Not only does this online crowdfunding technique help to increase your reach, but it also is a way for you to engage those supporters that are looking for another way to get involved. 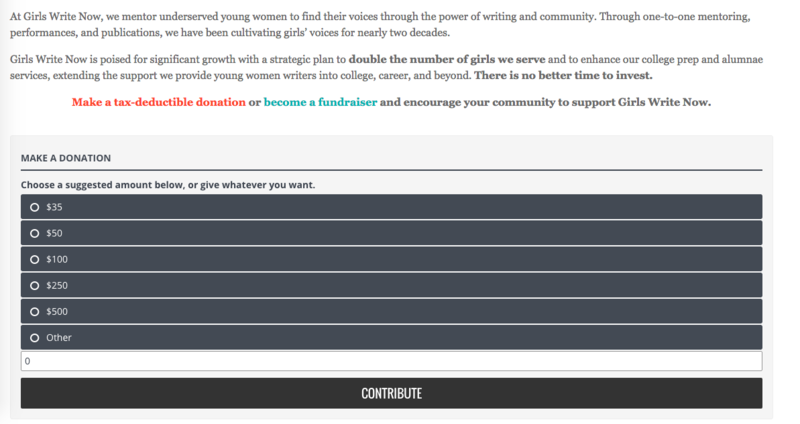 Save the Frogs is using online peer-to-peer fundraising with CauseVox to fund a conversation project. Teams of fundraisers are helping to spread the word – and raise money – for this cause. As we’ve helped power thousands of nonprofit’s online fundraising, we’ve found website popups to be a surprisingly effective way to capture a prospective donor’s name and email address. After all, if someone makes the effort to visit your website (and especially your donation page) chances are they are looking to get involved. Now may not be the right time for them to give a gift, but a follow-up email or other form of outreach could be the way to engage that person down the road. 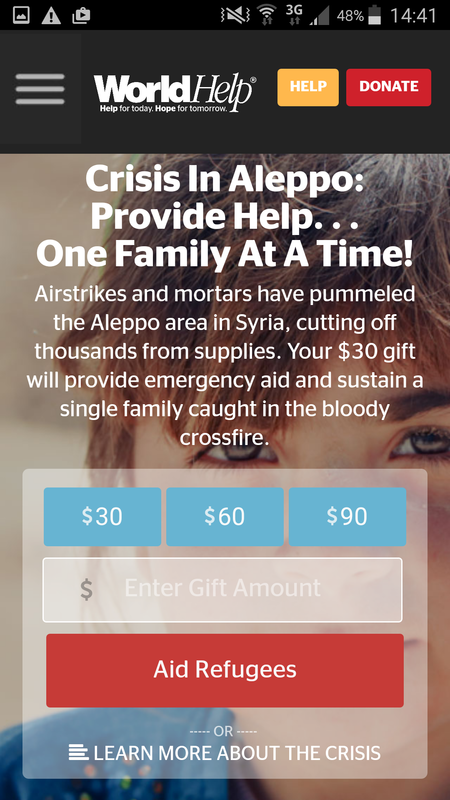 If online giving isn’t easy, people won’t donate to your organization. 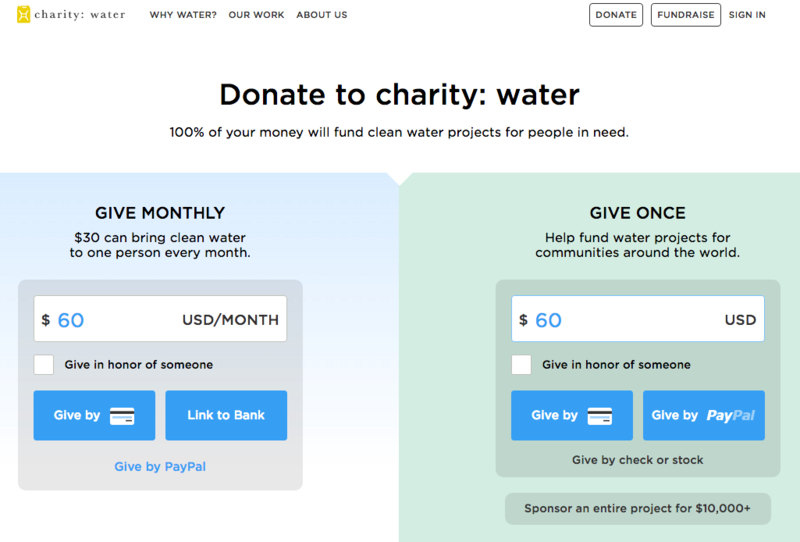 Make it easy to give by presenting a clean, organized donation page. People are using their mobile devices to connect with your organization. Thirteen percent of online gifts were made from mobile devices according to the 2016 M+R Benchmarks study. Additionally, 51% of your website visitors are using a mobile device to view your site. It’s possible you’re even reading this post on a mobile device. Establish your nonprofit or charity as an expert in your field by creating and distributing valuable content such as blogs, ebooks, and other resources, online. People are more likely to support your cause if they see you as a knowledgeable source. 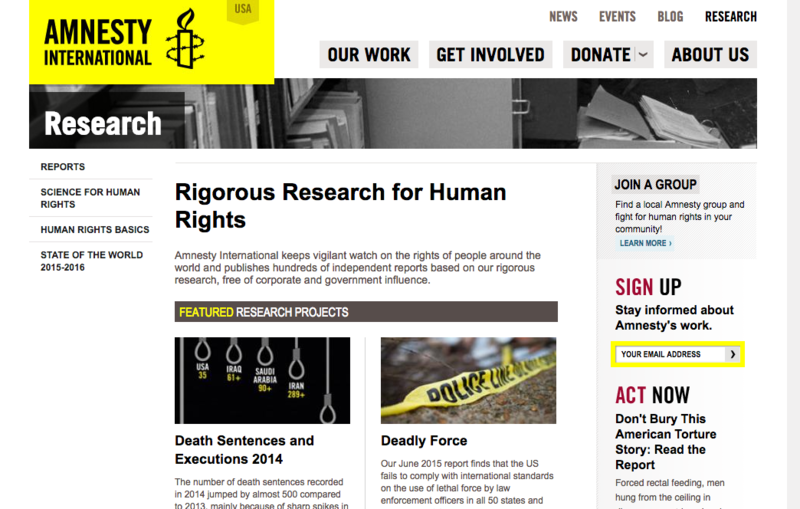 For inspiration, take a look at the research page on the Amnesty International website, which includes links to reports and research findings. Your nonprofit story defines your organization, and images are a great way to share that story. Use impactful images that showcase your work, including your website, emails, and social media. According to Kissmetrics, photos get 53% more likes, 104% more comments and 84% more click-throughs on links than text-based posts. Check out this UNICEF Facebook post, which includes one of thousands of great, compelling pictures meant to educate, inspire, and get the audience to act. Capitalize on current events and holidays. When something is trending people want to be involved, and this includes your supporters. If there is a way that you can connect your nonprofit to a current event, then do it online. Keep in mind that a good portion of giving occurs during the last 2 months of the year. In fact, 31% of all giving occurs in December and 12% happens in the last 3 days of the year. To stay relevant, try doing an online year-end or #GivingTuesday fundraising campaign to stay top-of-mind for those looking to give during the holiday season. People want to support causes they come across online, but there are times when a donor can’t make a one-time gift. It may be because their budget doesn’t match their desired giving amount, or because they’d like to spread payments over the course of the year. Therefore, it’s in everyone’s best interest for organizations to create a recurring giving program. Nonprofits benefit from recurring giving because this method keeps donors involved and engaged while also ensuring a steady flow of income for the organization. 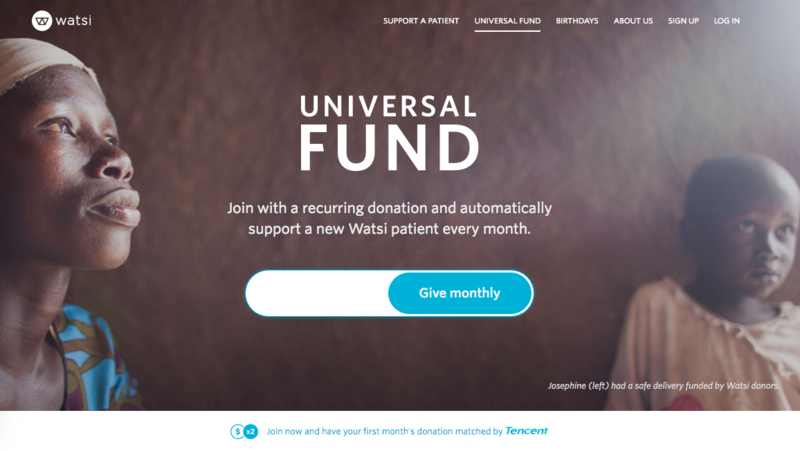 One of the best recurring giving programs out there was developed by Watsi. This nonprofit sends a monthly, personalized message and thank you featuring a client helped with the donation, and they’ve seen amazing results because of this donation feature. After observing thousands of campaigns, we’ve found that thanking donors is the single most important thing a nonprofit can do to retain a donor. It’s easy to thank a donor when they’ve given in person, but what about those donating online? If possible, send a personal email or make a phone call to acknowledge the gift. If you know your donor is comfortable with it (they chose to not give anonymously), give them a shout out on social media. The more you recognize their efforts, the more they’ll feel like an essential part of the cause. 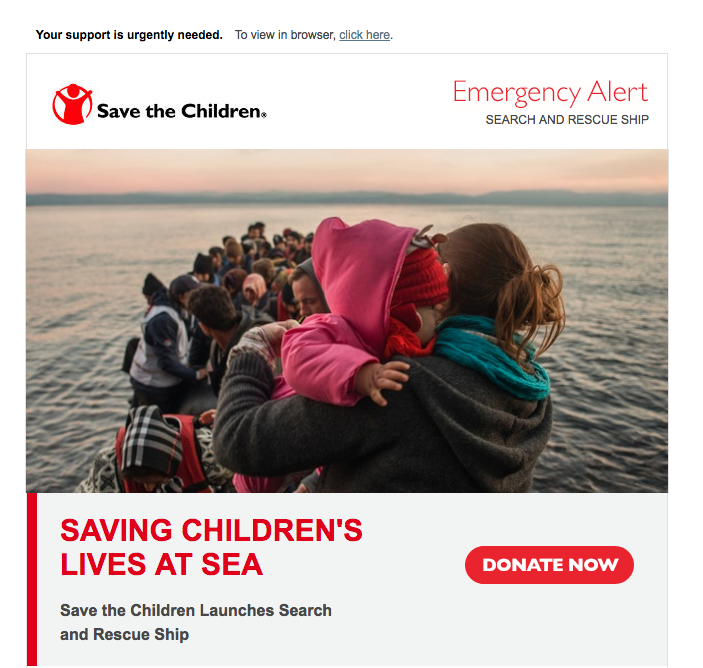 You can use marketing automation to trigger an email when someone makes a donation so the right message is sent to the right person at exactly the right time. Research shows that attracting a new customer is 5x more expensive than keeping an existing one. With this in mind, St. Jude’s Hospital tracks when their donors last made a contribution and automatically sends a re-engagement email exactly three months after that date. You can keep donations coming in the door by communicating with your donors and prospects, not just about the status of the campaign, but of the impact of their gifts. Send email updates and create/update your blog and website with the latest on your campaigns and work. If you calculate the return on investment, then definitely share that as well. 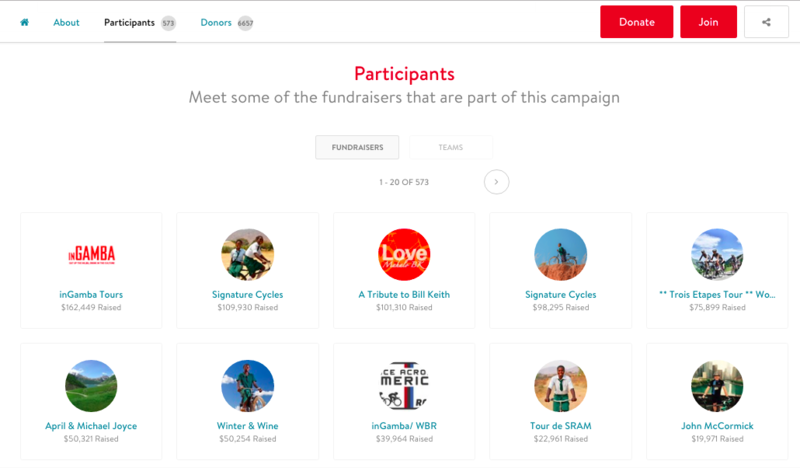 World Bicycle Relief allows supporters share status updates and results with supporters on their online fundraising website. This is a great way to keep everyone in the loop. Sometimes it seems impossible for our nonprofits to keep up with the ever-evolving, demanding world of technology. But it’s coming, whether we like it or not. Sure, your nonprofit may still get a bulk of your donations from offline sources, but the tide is shifting. Incorporate these 12 techniques, you’ll begin to drive more donations online and hopefully gain, educate and, engage donors in the process. This article originally appeared in Campaign Monitor. This article was written by Rob Wu from Business2Community and was legally licensed through the NewsCred publisher network. Please direct all licensing questions to legal@newscred.com.